KidStart Magazine > Lifestyle > Food & recipes > Would you like some strawberries with that cream? 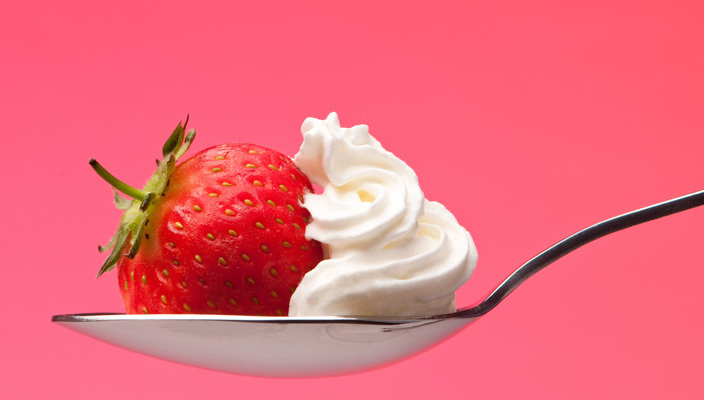 While tennis champion Andy Murray sweats it out defending his Wimbledon crown over the next couple of weeks, most of us ordinary folk will be wondering how many bowls of strawberries and cream we can get away with eating. Strawberries and cream are one of those special combinations, like Glastonbury and the rain, that signify that the British summer is truly here. The fruit is native to Europe. Strawberries contain a good amount of fibre which is important for digestive and bowel health. These lovely red fruit contain lots of potassium as well as other health giving minerals. Potassium is vital for blood pressure balance among other things. An Ohio State study suggested that the consumption fresh strawberries reduced the development of cancer in rodents. Further research is being done on this potential benefit for humans. Whichever way you look at it, standard full-fat cream is not the healthiest of options but, oh, it’s SO delicious! Cream is well-known for its high fat content but, used in moderation, there are some positives to pouring it all over your strawberries. As a dairy product, cream is a good source of calcium, and it is also provides phosphorous which is needed for bone health. Try natural yoghurt for a lower fat option if your counting the calories. Whatever you way you like them, enjoy your strawberries and enjoy the tennis. Come on Andy!